responsible for interactions which occur because of mass between particles, between aggregations of matter. 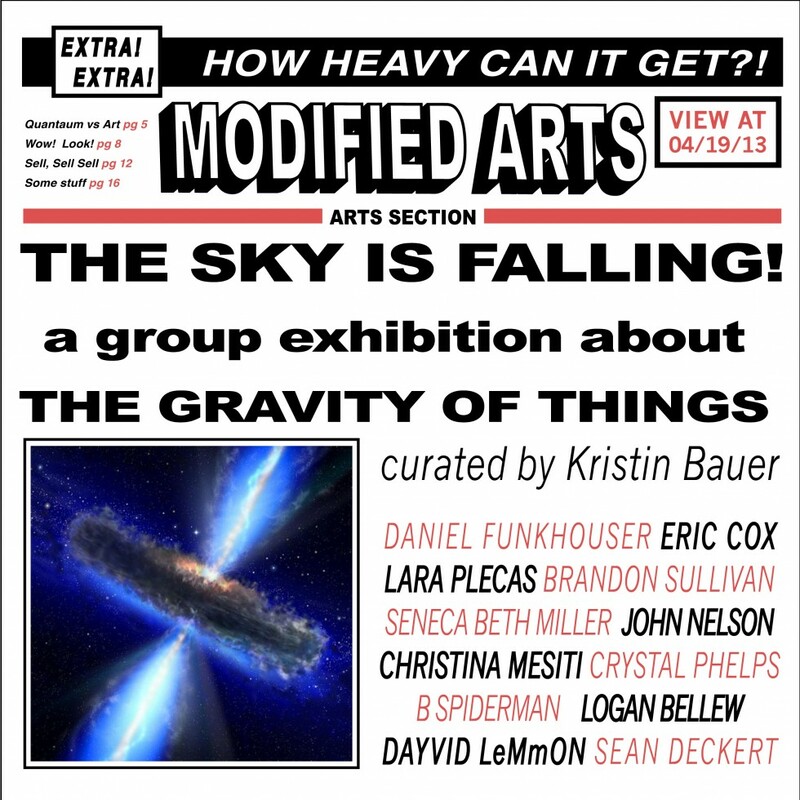 “The Sky is Falling” brings together artwork by twelve diverse artists, who currently or formerly lived and worked in Phoenix. The work in this exhibition explores the presence and the feeling of abstract and intangible forms of gravity- i.e., philosophical, spiritual, political, psychological, etc.- which are conveyed physically by transmission into image or object. The Sky is Falling surveys photography, painting, sculptural works and works on paper that provides a spectrum of our visual storytelling of the “gravitas” sensed in life, outside of the surface of our physicality.